London (VG): After receiving only lukewarm reviews for their latest single “Foot Of The Mountain”, Morten Harket (49) and Magne Furuholmen (46) make an all-out attack on Norwegian music journalists. The two a-ha profiles think the critics are cowards who won’t dare to write what they really think. “No one have the guts to say that something is really good or really bad before they see how things go. The journalists simply lack balls”, Magne Furuholmen tells VG. “We have experienced this throughout our entire career. 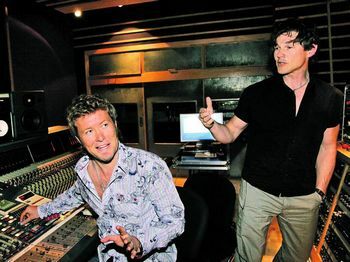 They want to see how things are received before they make up their minds”, Morten Harket added when VG met the two of them in the studios of Universal in Chiswick in London last night. They were there to showcase material from their upcoming album to executives from the UK record company – an album which is being released in mid-June and will be named after the single “Foot Of The Mountain”. Last night, VG had a chance to listen to two unfinished songs that will be on the album: “Shadowside” and “What There Is”. Norwegian fans will probably have a chance to hear the two songs live, when a-ha are doing two concerts at Oslo Spektrum on 6. and 7. November. “These songs probably have a classic a-ha sound, but many of the other songs on the album will be quite different”, Furuholmen says. 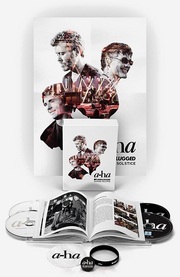 Aftenposten’s reviewer Cecilie Asker wrote a few days ago that she felt a-ha’s new single lacked a certain nerve, and speculated if it was because of the band members having less quarrels than before. “I can hereby most strongly deny that. If there’s one thing there hasn’t been any lack of during these recordings, it’s quarrelling”, Magne Furuholmen says. “I would like to answer in a different way, and ask if this reviewer in Aftenposten is a good mother? And why are you even asking about this? This is papparazzi-journalism. You don’t have to be hiding in the bushes to be a papparazzi, you know”, a rather worked-up and laughing Morten Harket adds. He had a visit from his seven month old daughter Karmen in the studio yesterday. – Is it difficult to be working hard on a new album and at the same time being the father of small children? “We work a lot, which entails great sacrifices in other areas. But we’re grown up people and when we make our choices, there’s a reason for it”, he says. – Is it different to work now than twenty years ago? “Well, different and different. Everything becomes different”, Harket says. – Do you feel twenty years older? – Yes, then I was seven years old, so I do. “Exactly. No wonder you don’t have any balls. That must feel weird. To not have any balls. How does it feel, really?”, a testicle-focused Morten Harket laughs. Do you feel there’s something familiar about a-ha’s latest single “Foot Of The Mountain”? That’s probably because you’ve heard large parts of it before. The verses of the song are actually identical with those you’ll find in the song “The Longest Night” – which was on Magne Furuholmen’s “A Dot Of Black In The Blue Of Your Bliss” last year. 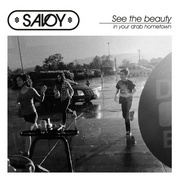 But the chorus is new. “This is a completely normal way of working. The song was originally written for a-ha, but then things took time, and it ended up on my solo album first. We’re also planning to make a new verse for “Take On Me” and re-release it”, Magne Furuholmen laughs. Tickets for the two Oslo concerts will be on sale starting today. This article appeared in VG, 28 April 2009.